Families with teens and tweens can have a great time throughout Walt Disney World this summer with fun activities for all ages at the parks. 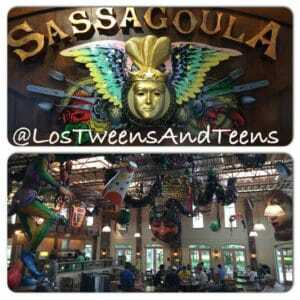 My twin girls (Sophia & Olivia), my husband (Chris) and I had the opportunity to participate in the kick-off to the ‘Coolest Summer Ever’ during the Memorial Day weekend and we stayed at the Port Orleans Resort. It was so fun to go back to Port Orleans as we had not stayed at the property since our girls were just 2. That was our first trip to Disney with them! The Port Orleans Resort is one of my favorite properties within the Walt Disney World Resort because it’s a little oasis after a hot day at the parks. The meal options are all inspired by New Orleans favorites including yummy beignets and gumbo. With tweens and teens in your home you just may have heard that Teen Beach 2 premiered on Disney Channel this summer! 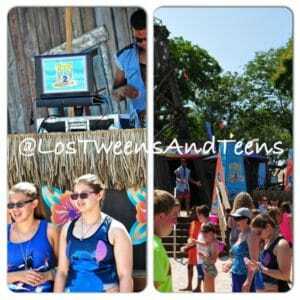 But do you know that Disney Parks and Best Western Hotels have special themed Teen Beach 2 activities as well? Yes, it’s the ‘Coolest Summer Ever’ at Walt Disney World and your family can have fun at TyphoonLagoon with special daily Teen Beach 2 parties that include hula hoops, water balloon tosses and mucho dancing and prizes too! All over the Magic Kingdom you can find everyone’s favorite singing snowman Olaf offering special activities and extended hours. Over at Best Western Hotels you can find giant fun Disney-themed ‘and magical’ Teen Beach 2 Posters that invite your older kids to take a photo and share their special image with all their friends. To interact with the life-size display, guests can download the free Best Western ALIVE! app, available through the iTunes App Store or Google Play, to bring the display to life and snap a photo with Lynch and Mitchell. The app superimposes graphics and video over the camera’s real-time view, allowing users to engage in a virtual reality experience with the Disney Channel stars. The virtual images can then be shared with friends and family via Facebook, Twitter and Instagram. 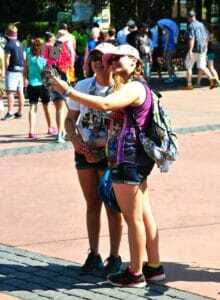 Tweens and Teens LOVE their selfies and Disney Parks are a great background! 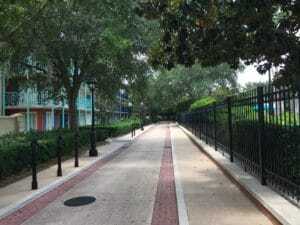 Guests can enjoy cool rates during select dates at Disney Resort hotels most Sunday to Thursday nights starting July 6 to August 13. For example, Disney’s All-Star Music Resort has a hot rate starting as low as $107 per night, plus tax. Florida residents must book by August 10, 2015. More information on resort rates is available by calling 407-W-DISNEY or visiting Disneyworld.com. For added information on special offers CLICK HERE. All in all it really is THE COOLEST SUMMER EVER at Walt Disney World! Get out and make some plans as there really is so much to do with your older kids. This entry was posted in For Mothers & Tias, Las Moms, Los Influencers, Mind, Travel and tagged Best Western Hotel, Coolest Summer Ever, Disney, Disney Channel, Teen Beach 2. Bookmark the permalink.